One of the meetings I most enjoyed organizing took place a few years ago when my company was embracing a game-changing business strategy. The theme of the meeting was “It’s a Whole New Ballgame,” and as the highlight of the event, I arranged for Johnny Bench to give a motivational speech. Everyone at the meeting received an autographed baseball card and a Louisville Slugger to commemorate the event. Me: Hey, guys. Do you like baseball? Them: Sure/I guess so/As much as anyone. Me: Would you like an autographed baseball card from Johnny Bench? Them (in unison): Who’s Johnny Bench? Stunned, I couldn’t believe that this major league icon had faded from social consciousness. This was the guy who revolutionized catching! Regardless of when he played, who wouldn’t know this linchpin of the Big Red Machine? Sigh. In addition to the instant reality check on my age, that day I also confronted the notion that cultural references are not static. They are ever-changing, evolving, adapting to the social consciousness of the population. A reference that enjoys collective understanding today may garner impassive looks tomorrow. To remain relevant, I must be continually engaged with and aware of the world around me. I have to read, talk, observe, interact. There are no laurels to rest upon. 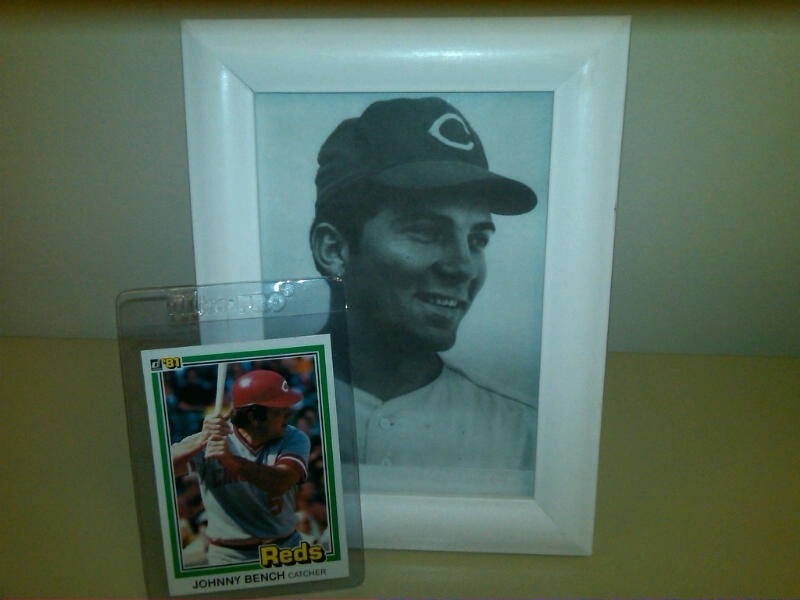 For the record, I still think everyone should know Johnny Bench. I think about my American friends who have lived in Japan for twenty years. They can’t have the normal conversations we have; we reference popular culture far more then we realize every day. It would be bizarre to have to reacclimate to your native culture to that extent. As much as I idolized JB in his playing days, I still get goosebumps when I see him…sadly though I KNOW there are TOO MANY people who would see him as a TV broadcaster or just a Cincinnati guy rather than the Binger Banger, one of the BIG RED MACHINE, a Hall Of Famer. It’s just fact that when one leaves the limelight they fade like the paint on the wall.